Li Chuen Lam, born in Hong Kong in 1948, is a member of the indigenous community in Sheung Wo Hang village, Sha Tau Kok, in the New Territories. Of Hakka descent, he is the youngest in his family. In the twenty-seventh year of emperor Kangxi’s reign (1688) his distant ancestor Li Tek Wah moved from Bo Law to Wo Hang (present day Sheung Wo Hang village in Sha Tau Kok) in Sun On county and built the village. Sheung Wo Hang village has an old school, Kang Yung Study Hall, which nurtured many successful examination candidates (known as xiucai) down the generations. Li studied there during his childhood until he finished primary school. From the age of nine he saw many Hakka unicorn dance and kung fu performances in the village, which left a deep impression on his mind. 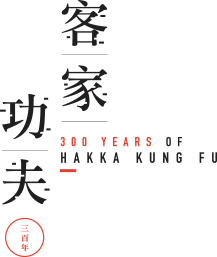 In summer 1962 Jiangxi Bamboo Forest Temple Praying Mantis master Wong Yuk Kwong was invited to teach Hakka unicorn dance and kung fu in Sheung Wo Hang. 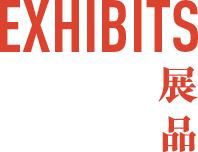 Li Chuen Lam wanted to become his disciple but as his family was poor, he could not afford to pay the monthly tuition fee of ten Hong Kong dollars. At first, every evening he stood by the side and watched people practice. He practiced the stances and footwork back at home and tried to imitate the movements. Later, a uncle in the clan knew about Li Chuen Lam’s interest in martial arts and approached the master on his behalf. In the end, Wong Yuk Kwong sifu agreed to teach Li Chuen Lam for free, with the only demand he prepare a large pot of tea every evening. 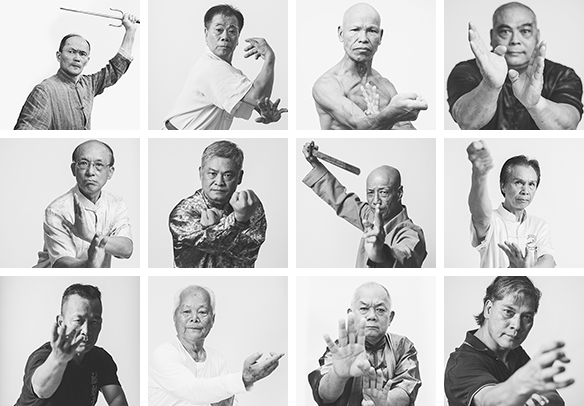 Li Chuen Lam recalls that over ten people were learning martial arts in the village. When he joined the class they were already studying the second boxing set (known as Soeng Zong). At first, the master asked him to practice the basic stances and steps, but in fact he had already memorized movement sequences of the first set (known as Daan Zong). After he performed this set for his sifu he began his studies with Soeng Zong. Back then, end of the year was the time when unicorn teams left the village to perform elsewhere, such as in Sha Tau Kok, Sheung Shui, Tai Po, Sai Kung, or even in the city centre. After a few years, Wong Yuk Kwong sifu asked Li Chuen Lam to go to the branch in Yuen Long and help his elder kung fu brother Liu Yuk Keung run the school. At the time his master had schools in Tsuen Wan, Hung Hom, Sai Wan Ho, Kwun Tong, Yuen Long and Wo Hang, with a student helping out at each of the branches. The master went to Yuen Long to supervise every other day, so Li Chuen Lam learnt most of his kung fu during this period. A year later Li Chuen Lam transferred to the Tsuen Wan school. There were kung fu classes during morning, afternoon and evening sessions. 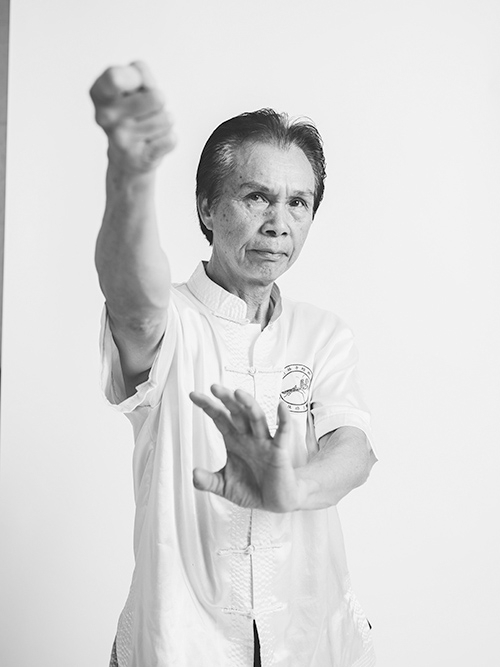 He was responsible for teaching the stances and footwork, Daan Zong and Soeng Zong (in other words, the basics). Altogether he lived in the martial art school for four years, by which time he was fully grown as a man. It was then his master decided to close the Tseun Wan school. After the school was closed Li Chuen Lam worked in the food industry for two years. Despite the long hours he continued to practice martial arts during this period. After that he worked in the factory for three years, and spent a year in the United Kingdom in 1972 (all his siblings migrated to the United Kingdom during this time). He started to teach unicorn dance to younger clan members in the village before going abroad, when Master Wong was still alive (he passed away in 1968). The class was conducted in the same old house where he teaches martial arts today. In 1975 he started to formally teach Kwongsai Bamboo Forest Temple Praying Mantis kung fu in the village, all the while working full time in the construction industry. In 1998 he retired at the age of fifty. In 2001 he registered a society for unicorn dance. Li Chuen Lam wishes more people would learn Kwongsai Bamboo Forest Temple Praying Mantis, so that its legacy would continue. He is not interested in fame and only wishes this style of kung fu to continue to grow.